Today Android is by far the most popular mobile operating system according to Statista. But there is something that pushed the Android users over the edge. Android devices are likely to slow down and decrease the performance as days pass by. And today we’re going to find a way how to speed up your Android effortlessly. Taking into account that lots of factors can slow down a handheld device. It might happen due to low memory, RAM, viruses, etc. And there is a way to make your Android fast again, just root your device and get its power back. To read more about the benefits of rooting. Rooting gives you full control and authority over hardware including manufacturer’s and carrier’s settings. In other words, you get the admin rights and can change every aspect you’d like to. Moreover, rooting allows you to install particular apps that can change the CPU speed or improve the overall device’s performance. And once rooted, you can speed up your Android device in a few clicks. And here’s the list of the best apps that can make your cell phone or tablet even faster than they were before. Greenify is probably the most popular tool for speeding up Android. It was even featured as the Lifehacker’s Top 1 Utility. It’s simple and easy-to-navigate. Greenify has proven its ability to increase both the battery life as well as the performance of your Android by hibernating background apps. The app allows you to choose the apps for background work such as Facebook or WhatsApp. Greenify won’t shut the preferred apps down, but the other background apps will be stopped to save up your battery energy. There is one more thing that can slow down your device - recently deleted files. The device keeps recently deleted files until you need that space for new files. And everyone experiences its low performance when the storage is nearly full. So if there is any lag, it’s time to clean your storage. And Forever Gone can do it within a couple of seconds. Forever Gone can do both clean the storage and fill free space. But make sure that all the deleted files aren’t important. Otherwise, the app will delete them forever and you won’t be able to recover them. ROM Manager lets you flash new ROMs and use the latest versions of Android without waiting for the official releases. The app has a full list of the most popular ROMs compatible with your Android device. And ROMs are often faster than usual Android versions since there is no garbage skin that can slow down your phone. So you can save up some time since you don’t have to browse the ROMs on the Internet. So a custom ROM can also speed up your Android. Have you ever felt that your device starts acting up or slugging after heavy usage? Then Smart Booster is right up your street. It allows cleaning the RAM of your device including the unwanted usage by background apps. Thus it frees up more space for the apps you are using. And Smart Booster scans and cleans all the junk created by tons of apps in a few clicks. In case you are tired of phone lagging and low performance, try Smart Booster and speed up your slow Android phone. No-Frills is an app designed to change the frequencies of the CPU to speed up or slow down the device anytime as well as to change the governor. The app can be used only for rooted Android devices. It supports a wide range of rooted devices from Samsung, HTC, Huawei, Kindle, Oppo, ZTE, LG, and Motorola. To take advantage of No-Frills, don’t forget to root your smartphone. More on how to root Android smartphone or tablet. No-Frills allows setting CPU frequencies to the maximum be choosing the “Max CPU frequency” mode. For example, you can set the highest frequency to play a game and then go down to the lowest frequency to save up more battery while your phone is idle. Here are the apps that can you boost up the performance of your rooted Android device. 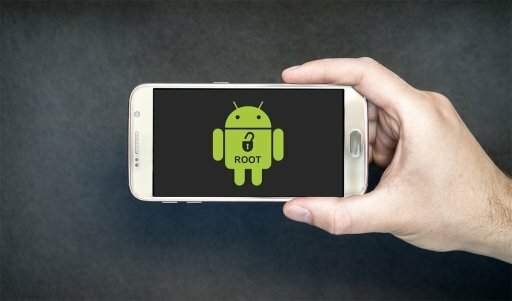 To use your phone to the fullest, you should root it. If you don’t know how to root a smartphone on your own, contact our experts, and they’ll help you.